Reading skills improved: Public primary school students in grades 1–3 in the 16 target districts with improved reading skills. Government of Nepal (GON) services strengthened: The Contractor will have supported the Government of Nepal through Phase I of the Nepal EGRP and completed the design and demonstration of a national model that the Government of Nepal can then implement nationwide within its budget. To provide technical assistance to the development of mother tongue MT materials in Tharu, Maithili and Awadhi. To support to the development of appropriate scope and sequence for Nepali as a second language oral language skills (NSL/OLS) and Nepali grade 3 curriculum. Government of Nepal (GON) services strengthened: The Contractor will have supported the GON through Phase I of the Nepal EGRP and completed the design and demonstration of a national model that the GON can then implement nationwide within its budget. 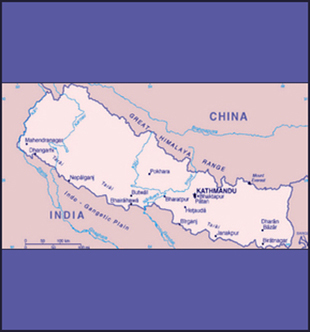 Based in Kathmandu and working in the following districts—Banke, Bardiya, Bhaktapur, Dang, Dadeldhura, Dhankuta, Dolpa, Kailali, Kanchanpur, Kaski, Manang, Mustang, Parsa, Rupandehi, Saptari, and Surkhet—EGRP will work with the Ministry of Education (MOE) and its Central Line Agencies (CLAs)—the Curriculum Development Center (CDC), Department of Education (DOE), Education Review Office (ERO), National Center for Educational Development (NCED), and Non-Formal Education Center (NFEC)—to develop an early grade reading (EGR) program that the GON can replicate and expand to all districts of the country in a cost-effective and sustainable manner. As such, EGRP is first and foremost a capacity-building program. Key EGRP activities center on developing teaching and learning materials, developing teacher training manuals and delivering training, providing orientation for head teachers, conducting early grade reading assessments (EGRAs) and other ongoing formative classroom assessments, strengthening the MOE’s Education Management Information System (EMIS), strengthening District Education Offices (DEOs) to effectively manage school-based EGR activities in schools, and sensitizing and mobilizing families and communities to support EGR activities in schools and communities.